The Set interface extends the Collection interface. It will make sure that an instance of Set contains no duplicate elements. The subclasses class implements hashcode and equals methods to make sure uniqueness of objects. If you place two identical pebbles inside a sack will you able to find which one you dropped first into the sack ?, heck No. 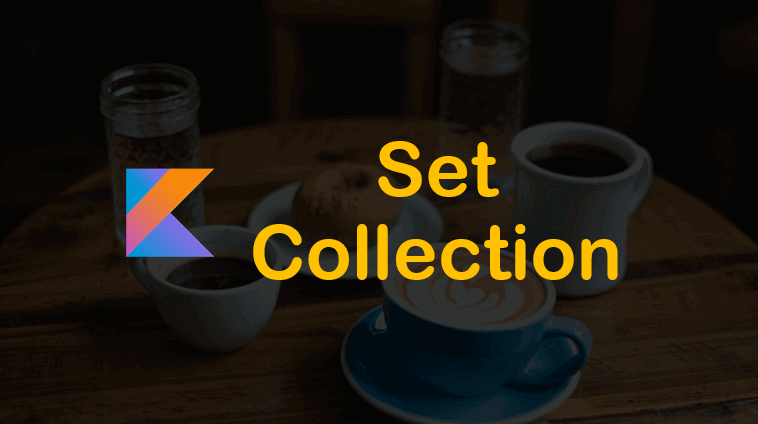 Because sack does not maintain any order, so when you pick the pebble it will lead to the confusion that which one you want to access(intention), so due to this issue Set type of collection in Kotlin will not allow you put duplicates in set. Set stores the values in random order and accessing the elements happens through element Value rather than index. indexOf() method gets the position of the given value, if the given value is not present then kotlin returns -1. indexOf() returns the position of the first occurrence. size property (it is not a function) returns the number of elements/items present in the list. contains() method will return true if the given value is present in the set otherwise false. containsAll() function accepts a set of elements and check whether the given sub set items are present in the Original set irrespective of order. isEmpty() function checks whether the set has any element or not, if there is no element is present then kotlin will return true otherwise false. single() function returns the single element, or throws an exception if the set is empty or has more than one element. The exception would be Exception in thread "main" java.lang.IllegalArgumentException: Set has more than one element. singleOrNull() function returns single element, or 'null' if the set is empty or has more than one element. any()function will return true if the given set has at least one element otherwise false. count() function returns the number of elements in this collection. reversed() function returns a set with elements in reversed order. toIntArray() function returns an array of Int containing all of the elements of this collection. toSet() function returns a Set of all elements.